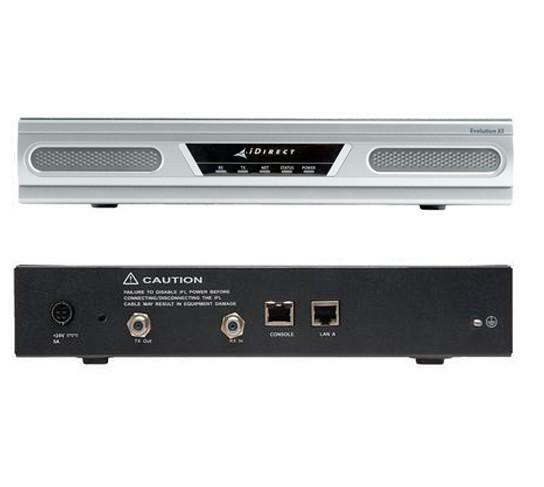 Designed specifically to support business-critical applications, the iDirect Evolution X5 Satellite Router is ideally suited for high-performance broadband applications such as enterprise connectivity, cellular backhaul, maritime, secure banking, and other mobile applications. The iDirect Evolution X5 Satellite Router features iDirect’s highly efficient implementation of the DVB-S2 standard with Adaptive Coding and Modulation (ACM) on the outbound carrier. Along with Adaptive TDMA technology or SCPC Return, 2D 16-State FEC, the Evolution X5 maximizes the efficiency of satellite capacity to enable new opportunities. The iDirect Evolution X5 Satellite Router is easily configured, monitored, and controlled through the iVantageTM network management system, a complete suite of software-based tools for configuring, monitoring and controlling networks from one location. The Evolution X5 Series is easily configured, monitored, and controlled through the iVantageTM network management system, a complete suite of software-based tools for configuring, monitoring and controlling networks from one location.